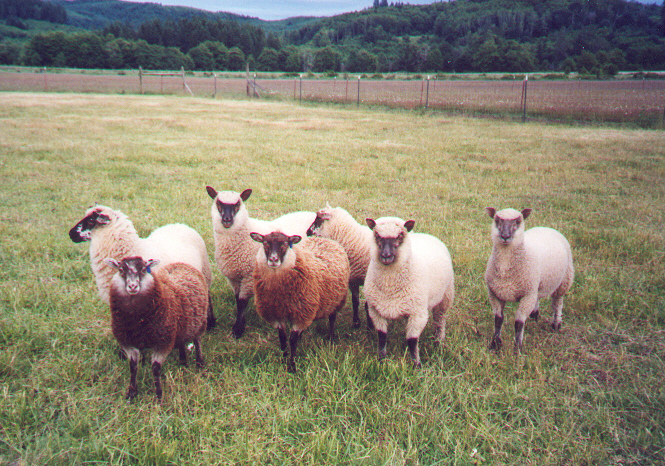 Take a purebred Shetland ewe, averaging around 85 pounds, and a purebred Clun Forest ram, around 150-200 pounds. Put them together and what do you get? On our farm, nine pairs of Shetland/Clun cross lambs. Nicknamed the “Clunlands,” these lambs are so far replicating the success stories coming from the United Kingdom in using Shetland ewes with meat-type rams in terminal sire programs. First, we wanted a ram that wasn’t too “huge.” We knew typical meat-breed rams often grew to 200-300 pounds and above and could produce larger birth weight lambs as well. Some of our best-growing Shetland rams were a hefty 140 pounds, so we felt the Clun would not be an insurmountable difference. Second, we wanted a calm ram. Cluns are a pretty “laid back” breed, based on the ram we purchased. Third, the Cluns were known for siring smaller, narrow headed and narrow shouldered lambs. 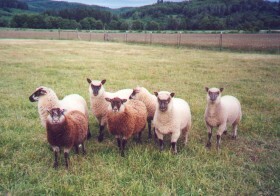 Part of their popularity in terminal sire programs is that they do quite well on the first-time ewes of any breed. The majority of the Clun/Shetland crosses seem to be gaining at a good rate on mother’s milk, orchard grass/clover/lotus pastures and a nibble of grain. Thirty day weights on the lambs averaged around 23 pounds. Sixty day weights are coming in at 51 pounds. Considering the size of the Shetland ewes and the fact that our lambs were all twins, the hybrid vigor is going full force. Our goal is to have lambs 100 pounds plus by the first of September, which at this time seems to be an attainable goal.